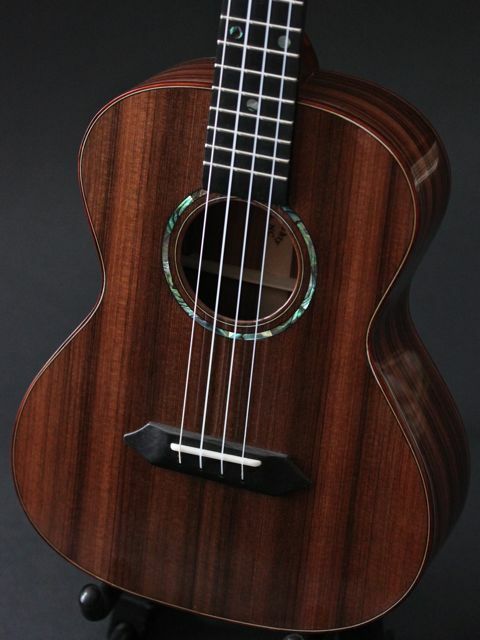 Custom Ukulele Review by Craig Turner: Pau Ferro Tenor. We’ve got the best customers in the world! Honestly, each and every one is a delight to work with, inspires us to do our finest work and brightens our day. 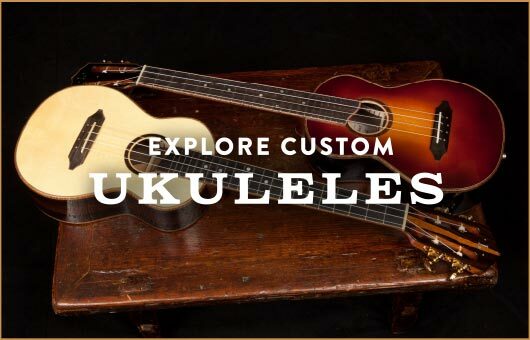 Here is an example: When custom ukulele owner Craig Turner shared the following review of his brand new pau ferro tenor ukulele with the educated forum participants of the Ukulele Underground we were over-the-top excited. Craig actually drove 4 or so hours to the shop the day we met him. He was coming to learn more about our ukuleles with the thought in the back of his mind of having a custom instrument built. A few hours later, after a great visit, Craig headed home with a custom order sheet for his future ukulele in hand. Together he and Jay had designed his ukulele. Craig had explored our wood pile choosing an incredible set of pau ferro for the back and sides and then together they selected each detail, down to neck width and trim. Craig’s ukulele has been delivered and by the looks (and sounds) of his review (published in the forums of www.ukuleleunderground.com) we’d have to say he seems quite pleased! Like many custom uke buyers, I wanted something different in my tenor uke. I sent Jay some sound clips of ukes I liked and I have to say he delivered. I enjoy picking/strumming, jazz and Hawaiian, and wanted an instrument that gave balance and clarity among all strings. This uke has it, big time. I was amazed at how clean the uke could sound; my wife instantly heard the difference, noting how distinctive it was compared to my other, Hawaiian built, ukes. This is also—without forcing—a full sound uke. No effort to get volume. I suspect, based on what I’ve read and researched, that the redwood adds a lot of sparkle to the top notes. The highs really ring. Sustain is very, very good and retains balance in the sound. Checking the fretboard, the intonation is excellent: compensated saddle is surely part of the reason along with precise fret alignment and height. Jay took the time to ask me about action when we first planned the uke. He even measured height on my Kanile’a to see how that felt to me. I am very pleased with what he did in this regard. Fingerpicking is very easy, fret height is very good indeed and it is a pleasure to play this uke. Another aspect of action was the neck thickness. He pointed out that his neck would be thicker than the K’s I had been playing, also that I would probably find it a little easier to fret since the thumb underneath would have a bit more efficient space to back up the fretting. He was right. This uke is very easy on the left hand and I find it takes less pressure to make efficient chording. The thickness makes this uke seem a bit more substantial than my others, a bit heavier in absolute weight, but with the balance it rests comfortably in the hands. The woodworking on this uke is outstanding. As soon as I found out something of the history of sinker redwood, I knew it was for me. The Pau Ferro’s rich, classy dark look was also a must-have. Hearing the taptone in the shop as we discussed wood options was exciting. Jay is a master craftsman and his skill in fit and finish amazes everyone I’ve shown this uke to. Bookmatching on back is lovely and the center stripe adds a nice geometry to the look. The shape of the body is a bit more hourglass-like than some other makes I’m familiar with: the lower bout on this uke is about 1/2″ wider than my Kanile’a tenor, upper bout maybe 1/4″ wider. The back has a subtle bow from top to bottom, feels really nice in the lap. The binding of cocobolo is exquisite, absolutely trim to the surface of the body with a lovely color that is subtle yet distinctive. There is also a very delicate perfling in the top binding that really sets off the distinction between the sides and top. There is no flaw I can find in construction. The hand carved neck is cleanly placed and set, the hand carved inner bracing as far as I can see is immaculate and clean. The neck and frets are so well done, smooth and silky to the touch. The abalone fingerboard dots look great against the ebony background. I really like the ebony look and feel in the bridge and fingerboard, never played on ebony before and I’m glad we made that design choice. The Gotoh tuners with amber knobs is really cool: he happened to have a set when I was in the shop and it makes a nice focus point at the headstock. The uke came with Aquilas, low g. I have not been a big fan in past of wound low g (the sound of finger riding up a wound string on slides is not pleasant to me, but maybe that is just taste, I know). However, these strings certainly feel good and sound great on this instrument, so I’m glad he went with Aquila to start. In a while, though, I want to try some Worth HD Low G.
The finish is smooth and just enough shine to bring out the depth in the sinker and the pau ferro. The two different woods have their own subtle looks when finished. I am very happy that the two tonewoods together give such a great sound and look good as well. I like the sound hole rosette (matches the fingerboard dots). I am not a big fan of lots of inlay, but this is just right and sets off the darker wood. I don’t have any doubt this uke will last a lifetime. Absolutely solid. I’ve been playing uke for over three years now. I own a Kanile’a K-1 concert, a Kanile’a K-2 tenor, and a Koaloha soprano. I can’t imagine losing this Lichty tenor uke, but I’d go back to Jay for another custom, maybe a nice Brazilian rosewood!! 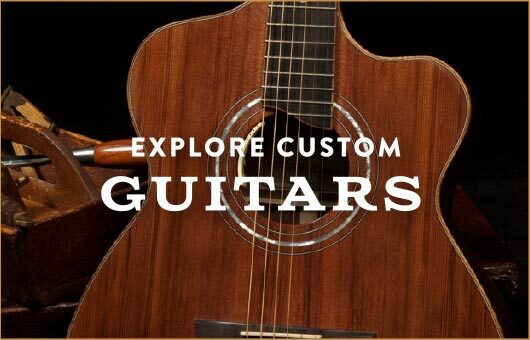 Investing in a custom uke makes you think about the aspects of uke playing that are important to you and what parts of the experience are most satisfying. For me, these parts were: low g, fingerpicking, jazz chords, and a balanced sound without muddy bottoms or screechy tops, and a wood combination that was unlikely to be replicated, all pulled together in master construction. When it comes to “bang for the buck,” a custom can give you the elements you prefer that might never be found in any one single production uke. I am delighted with the total experience. This is a superb custom uke and I couldn’t be happier. One of the interesting things about buying a custom is, once the down payment is submitted all you can do is wait. And the thoughts come in: what if I don’t like the sound? What if it is just awful to try to play? Whenever you can’t play a uke before buying there will be this feeling. But then it arrives, you play it for a few moments and the anxiety changes to great satisfaction. You have a uke unlike any other and that makes it specially yours. 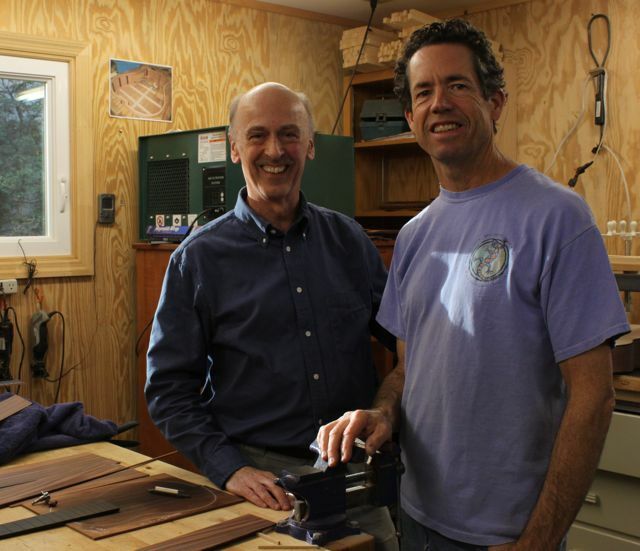 If you’re looking for a custom builder, I recommend you contact Jay Lichty, you won’t be disappointed.